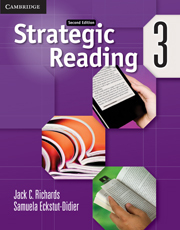 Strategic Reading is a three-level series designed to develop reading, vocabulary-building, and critical-thinking skills. Strategic Reading Level 3 is a reading skills book that contains twelve thematic units, each with three high interest authentic readings. The readings are unsimplified and are appropriate for students at the low-advanced to advanced level. Exercise material surrounding the readings builds students' vocabulary and develops their reading and critical thinking skills. 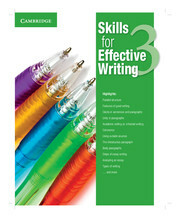 Students are better writers when they master discrete writing skills.